Arizona Junior Senator Jeff Flake ran as a conservative and rules like a RINO. The former Representative is a vocal supporter of amnesty and often speaks out against President Donald Trump. 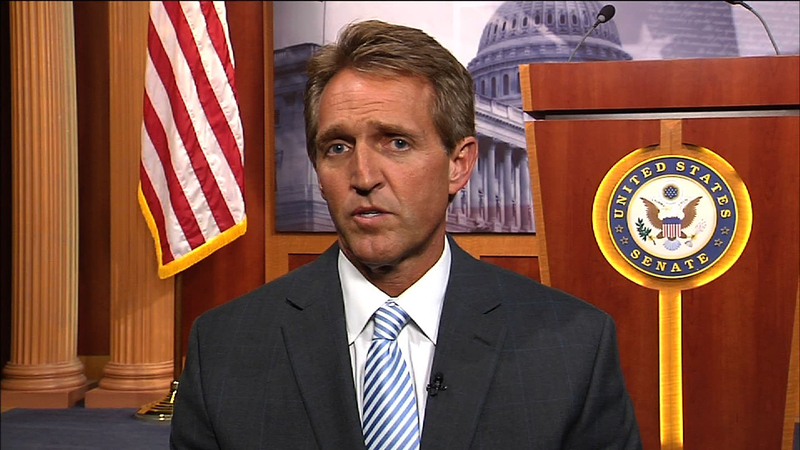 Flake said he could not support the GOP nominee before the election. Now top Trump campaign operatives are joining her campaign as consultants. Dr. Kelli Ward, who unsuccessfully challenged Sen. John McCain in the 2016 primaries, is now taking on Sen. Jeff Flake in the 2018 Arizona Senate primary. Ward is bringing on two political operatives with ties to the president, Eric Beach and Brent Lowder. The two men will serve as general consultants for the campaign, TheDCNF has learned. Beach is the founder and co-chair of Great America PAC, and Lowder is it’s executive director. The Great America PAC raised and spent close to $30 million in support of Trump’s 2016 presidential campaign. Just this week, it was revealed that conservative billionaire and Trump benefactor Robert Mercer would be contributing $300,000 to a super PAC supporting a primary challenger to Arizona GOP Sen. Jeff Flake. Hopefully this horrible RINO will get tossed in the GOP primary.